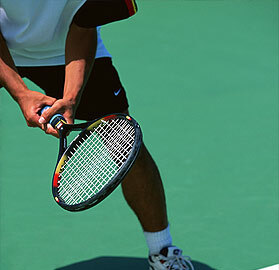 Tennis in Los Cabos: While you’re in Cabo, you can still keep up on your tennis swing. Many of the major beachfront resorts in Los Cabos offer excellent tennis courts for guest use. Remember to plan your game for the morning, late afternoon hours or evening to avoid the intense heat of midday. Some favorite spots to play tennis in Los Cabos, Mexico include: Pedregal Tennis Club: Pedregal, Cabo San Lucas Open 7am - 9pm (Closed on sundays) Open to the public RATES -$15/hour during daylight hours - $20/hour during night hours (with lights) Contact club directly to reserve: (624) 143-7524 in Cabo San Lucas. All rates subject to change. Rates are in USD. Tax additional.